Pressure washing and steam cleaning can be used to help remove ingrained dirt, grime, traffic film, algae, mildew and moss from a variety of surfaces. For the removal of tougher stains, we utilise brick acids, alkali and soda cleaning agents. Special rotating attachments also allow for effective cleaning of car parks and concrete floors. A number of factors – such as weather, traffic etc. – can contribute to the general wear and tear suffered by buildings and outdoor areas. 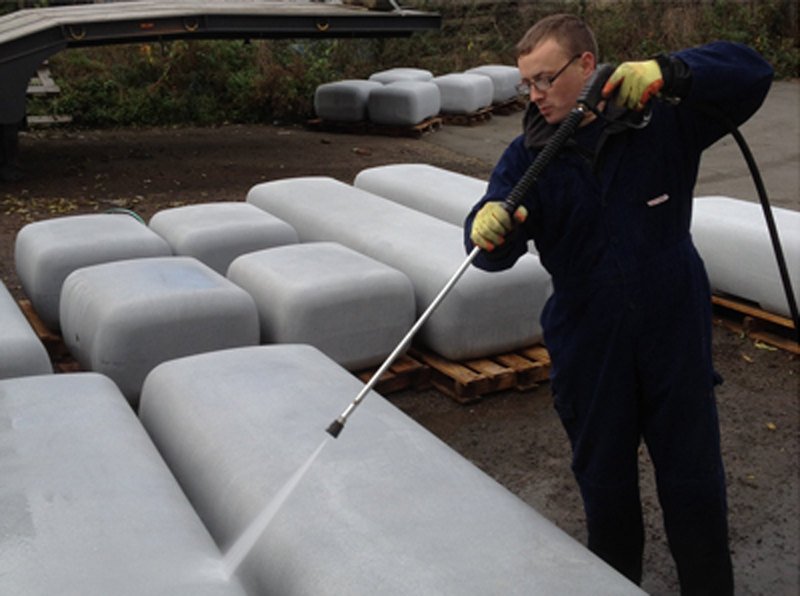 Using our high pressure water system, we can remove contaminants from a wide variety of surfaces, allowing them to be restored to their former glory. 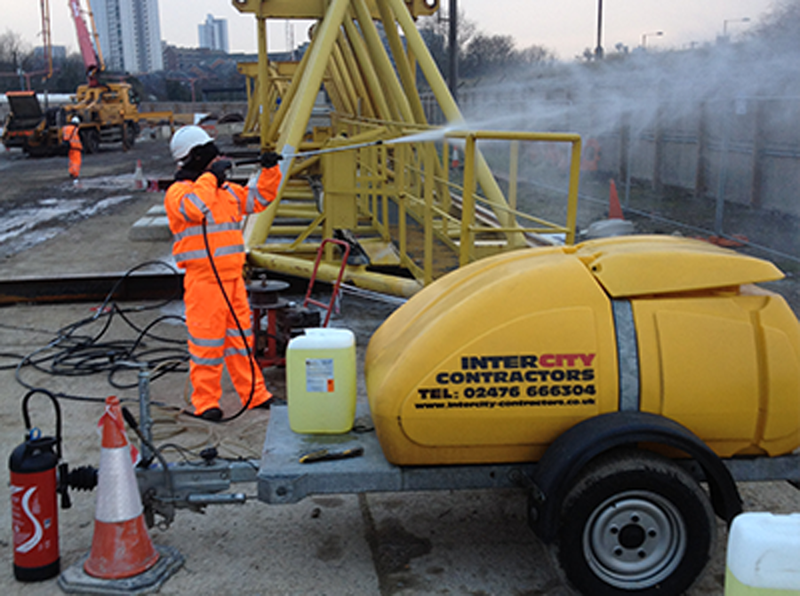 Intercity offers hot and cold mobile pressure washing, steam cleaning and chemical cleaning. We use only biodegradable and environmentally friendly chemicals during this process, making it an ecologically sound as well as highly efficient cleaning solution. Pressure Washing can be used to help remove ingrained dirt, grime, traffic film, algae and moss from surfaces including masonry, marble, limestone, granite, and brick, concrete, metal and UPVC. There are lots of things that contribute to the general wear and tear of things like brickwork, concrete, metal etc such as traffic and weather which is totally out of our control. Using our high pressure heated water system we can remove the build up of ingrained dirt, grime, traffic film, algae and moss from a variety of surfaces. We use only bio degradable and environmentally friendly chemicals during this process, making it ecologically sound as well as efficient cleaning solution that can help areas be restored to their former glory.